NHS England » We have exciting times ahead! We have exciting times ahead! The NHS Commissioning Assembly was born out of a vision to develop a community of commissioning leaders – the ‘one team’ that would work together to focused on improving outcomes for patients. Initially established in November 2012, the Commissioning Assembly has focused on bringing clinical leaders – including Clinical Commissioning Group clinical leads and National Clinical Directors – together with NHS England Area Team Directors and National Directors to share their experience, develop solutions to issues and generate ideas to improve patient outcomes. Together with Ros Roughton, National Director for Commissioning Development, I co-chair the Assembly with help from a member-driven Steering Group. My aim is to see the Assembly become a high profile, national network that represents the voice of all commissioning leaders. From the outset, we agreed that the Assembly should create shared leadership nationally and locally, help to co-produce national strategy and direction, create a common voice and principles for working together and connect leaders, both within the NHS commissioning system and beyond. These aims have laid the foundation for some great work, not least input into the development of NHS England’s “Call to Action” in July 2013, development of guidance like the Transforming Participation in Health and Care Guidance for Commissioners, published in September 2013 and support for the ongoing development of a range of national policies including on cancer diagnosis, adult critical care, clinical pathways for obesity and many more. Despite the success to date, towards the end of 2013 we felt as though we should take stock and think about how the Assembly should move into its next phase of development. With the help of a task and finish group we embarked on journey to determine what the future purpose and membership of the Assembly should be. The result was clear recommendations for the Assembly Steering Group to take forward – including a wider membership and a focus on a small number of priorities which directly relate to the challenges NHS England and CCGs share in improving outcomes. So, over the next few weeks and months we will start to make those changes happen. We’re inviting more commissioning leaders to get involved in the work of the Assembly and starting an ongoing dialogue with our members to identify ‘hot topic’ issues so that our day-to-day work tackles the key issues that are occupying or troubling local and national commissioners. The message for now is watch this space – there are exciting times ahead! You can find out more on the Commissioning Assembly’s website. Dr Peter Melton is Clinical Chief Officer of North East Lincolnshire Clinical Commissioning Group as well as Co-Chair of the NHS Commissioning Assembly. He led the establishment of North East Lincolnshire PCT in April 2000 and was appointed PEC Chair. He chaired the National PEC Chair networks hosted by NATPACT and NHS Networks. 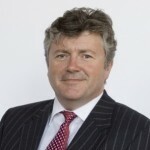 He was appointed Chief Executive in 2010 to North East Lincolnshire CTP and appointed CCO for North East Lincolnshire CCG in April 2012.